Pricing is the single most important factor of your organization's profitability, according to Bain. Finding the optimal price point means you can capitalize on your product investment. 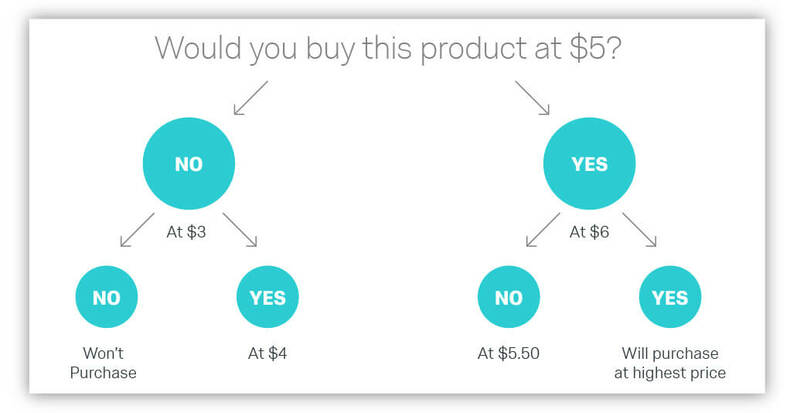 Pricing research takes the guesswork out of your product launch. Thank you for downloading the Maximum Profitability Pricing ebook! Companies who get pricing right enjoy higher profits and market share, while companies who get pricing wrong can leave thousands, or even millions of dollars on the table. Learn when to use the three most common pricing methods - the Van Westendorp Price Sensitivity Meter, Gabor-Granger methodology, and conjoint analysis. Learn the basics to get started with each of the three pricing research types, including which questions to ask and how to interpret your results.